Looking "where to sell my 1975-1980 Ferrari 208 GT4?" Ask the Chicago Car Club! Are you wondering "where to sell my 1975-1980 Ferrari 208 GT4 ?" The Chicago Car Club is interested in classic cars of all makes and models, especially a 1975-1980 Ferrari 208 GT4. We make the process of selling your 1975-1980 Ferrari 208 GT4 quick and painless. In just a matter of hours we will have your classic valued and, if you do so choose, turned into money in your pocket. All it takes is a phone call or electronic inquiry to get the ball rolling. 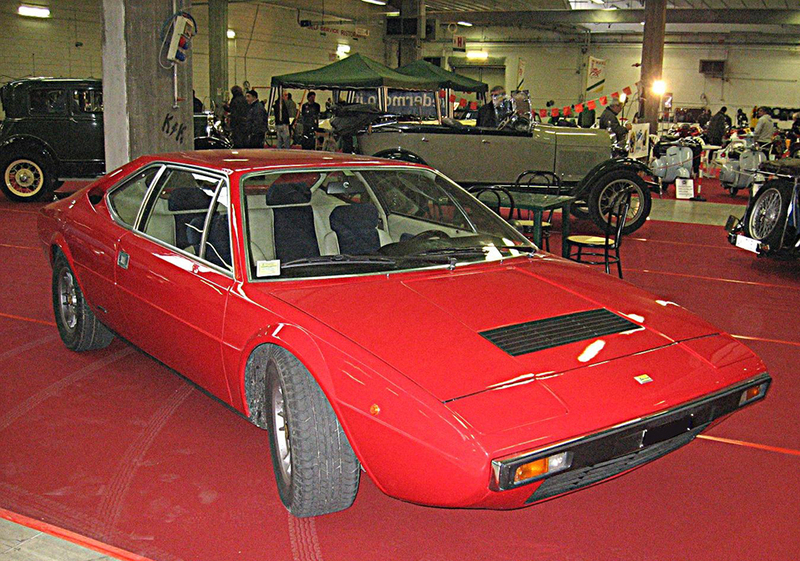 The Ferrari Dino 208 GT4 was introduced at the Paris Auto Salon in 1973. It went into production in 1975. 840 cars were built between then and 1980. During that period in history, Italy taxed cars over 2 liters heavily. The tax for the larger capacity cars was doubled to an oppressive 38 percent. The 208 was introduced, as a smaller version of the 308, to avoid this tax for their domestic customers. The Ferrari Dino 208 GT looked nearly identical to its big brother, the 308. The two can be distinguished visually by a couple minor differences. The 208 has one tail pipe instead of two and it came with a plain aluminum finish for the louvres on the front lid and engine cover, whereas there were satin black pieces on the 308 GT4. The tires were also narrower. The 208 in the model’s name refers to its capacity of 2.0 liters and the number of cylinders, 8. The 4 in GT4 refers to the 2+2 seating, which gave capacity to seat four passengers. The 208 GT4 was powered by a side-facing 2.0 Liter V8 engine with belt driven twin overhead camshafts. It was designed to have a wide bore and a short stroke. It was the smallest V8 in production at the time at 1991 cc. It produced 180 hp, compared to 255 hp of the 308 GT4, with a top speed of 137 mph.